When I Work with Webati, Will I Be Able to Work with a Designer? Home » When I Work with Webati, Will I Be Able to Work with a Designer? This is often one of the first questions that individuals ask when they work on San Jose web design with Webati for the first time, and the answer is a resounding yes. The professional minds behind the Webati brand believe that it would simply be crazy if you did not. First and foremost, this San Jose web design team will conduct in depth interviews with you to determine what exactly your business requires from its website. This information, along with your creative vision and the technical skills of the Webati team, will be used to create a website for your business that is guaranteed to attract the attention of your business’s targeted demographic. It is Webati’s pledge to their clients that they will always be kept involved in each step of the design and implementation phases. 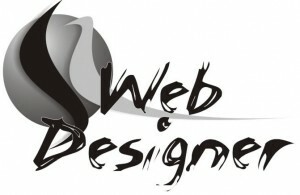 Do not compromise your business’s website with poor design quality. Choose Webati for all of you San Jose web design needs and work closely with professional website designers and developers.